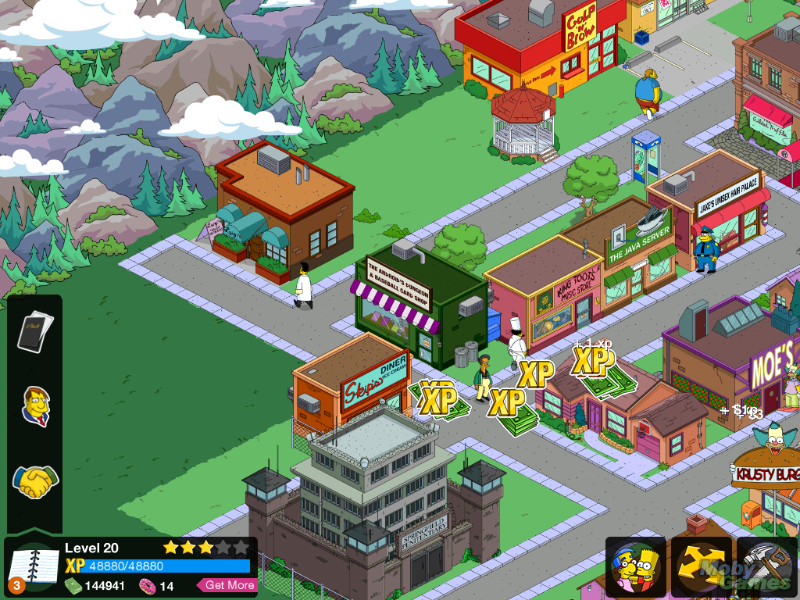 The Simpsons: Tapped Out is a freemium video game for iOS and Android, based on the American animated series The Simpsons. 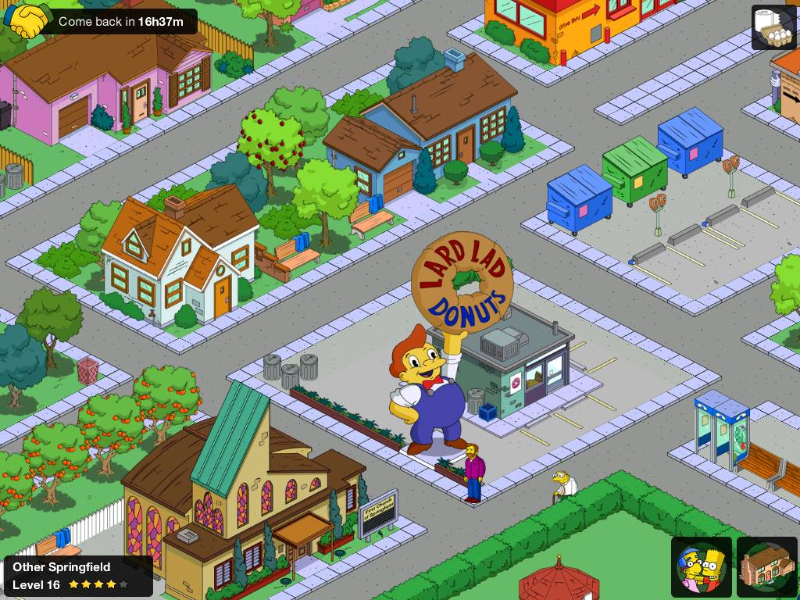 It allows users to create and maintain their own version of Springfield using familiar characters and buildings. 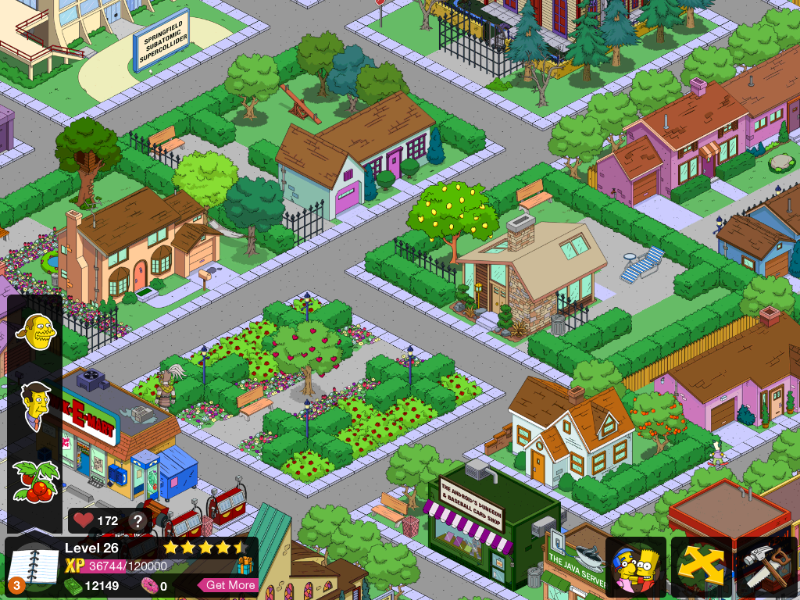 Iconic Characters: Players build their own version of Springfield, populating it with famous characters from the show. The layout of the city is entirely up to the player, and some of the content is even specific to current seasons of the show. Humorous Story: The game is full of the humor people have come to know from The Simpsons. The premise of the game involves Homer trying to repopulate the town and locate his family, just so he can return to shirking his duties at the power plant by playing an elf game on his tablet. Origin Support: The game is supported by EA's Origin, which acts as a social bridge to where players log in to their Origin accounts and visit friends' towns to collect cash once every 24 hours; and occasionally other tasks during an event. This video is a trailer for The Simpsons: Tapped Out, a mobile game featuring The Simpsons universe. The video is primarily an animated short.